Once upon a time, painting was a big home improvement job which often required professional attention. These days it’s fairly easy to pick a color, call over some friends, and splash some paint on the walls. 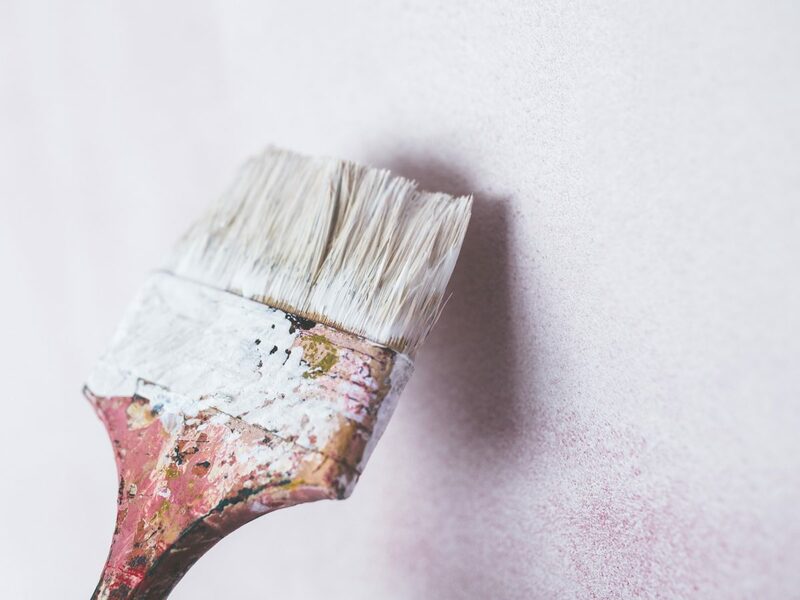 Because of this, even renters often paint their walls, and then throw in the curtains, bed sheets, and cushions to match the overall décor – tying all the colors together in a perfect combination. So what colors have people been tying together, and how? Let’s examine the current paint color trends, thriving in 2016. Whitewashed walls were once a favorite before more bold colors stole their thunder. However, white walls definitely made a comeback with the popularity of minimalism — not just a lifestyle choice, but an interior decorating style. This involves not just white walls, but often also white furniture and white decorative pieces. Some then add interesting accent features that stand out even more on the blank canvas. Some popular white paints for 2016 include Benjamin Moore’s China White, Farrow & Ball’s All White, and Valspar’s Honeymilk. Another popular paint color choice for 2016 is not just a color, but a style. The style in question involves painting one wall a different color to make it the focal point of a room. In bedrooms, this is often used in place of — or even in conjunction with — a headboard. In living rooms, the fireplace and/or TV may be a part of that wall. Popular accent wall colors in 2016 include silvers and grays, blues, and dark browns. As evidenced in the above picture, many stylish painters now move away from browns and into grays and shades when scoping out neutrals. The use of stormy and silver walls now make for a new take on the idea that brown and off-white represent the best — and some would say, only — neutral colors for a home. The beauty of using grays is that they match virtually all colors and rarely clash with any designs. Some popular shades this year include Benjamin Moore’s Timber Wolf, Valspar’s Simply Perfect Palette, and Kelly-Moore’s Horizon Gray. For some people, white is bland and gray is gloomy. These people need a bit more color in their homes to make it a comfortable one. For them, blue in all its various shades remains a favorite. According to an article on HGTV, “after 9/11 blue surged in popularity. This comfortable, soothing color is associated with dependability, constancy and peace — qualities Americans seek during unstable times.” Parker Paint’s Waterside, Sherwin-Williams’ Sassy Blue 1241, and Farrow & Ball’s Chinese Blue 90 were some of the most popular blues this year. Back in the day, when people wanted designs on a wall they either bought paintings or used wallpaper. Today, many people use vinyl and stickers to create murals. Some also use stencils or just plain talent to paint amazing designs onto the walls of bedrooms and living rooms. Popular paint trends in 2016 have included more than just colors people gravitate toward. Trend also shape how people use these colors to turn boring rooms into beautiful living spaces. Hopefully a look at these trends will help you turn your house into the home you always dreamed of.